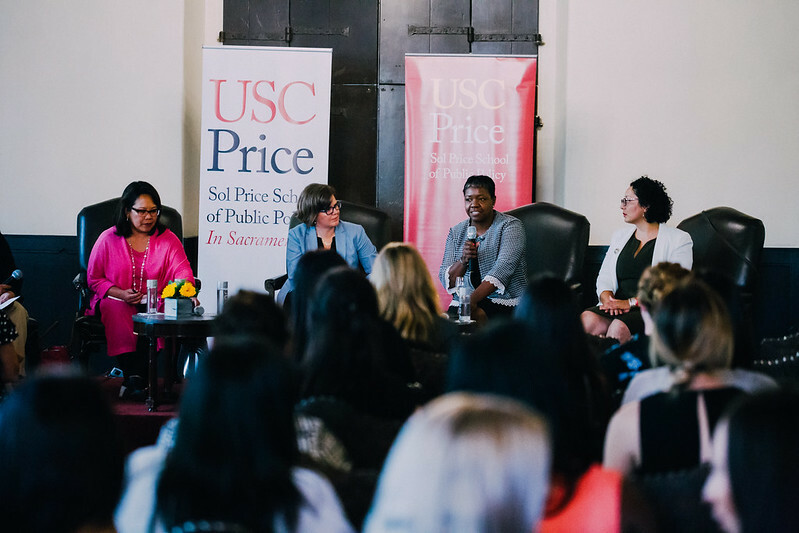 On Aug. 21, the Price School of Public Policy in Sacramento hosted a panel discussion on “Women, Leadership, and Public Service” at the Sutter Club in downtown Sacramento, CA. More than 100 guests attended the event, which was held in collaboration with the California Legislative Women’s Caucus, League of California Cities Women’s Caucus and the Sacramento Chapter of the American Society for Public Administration (ASPA). Juliet Lee from the USC Price School, and ASPA Sacramento Vice President, welcomed the audience. She mentioned upcoming ASPA programs and introduced Jan Arbuckle, President of the League of California Cities Women’s Caucus and Council-member for City of Grass Valley. Ms. Arbuckle emphasized the need for more women in public and private leadership. She cited the low numbers of women in the California Legislature and in politics in general. She declared that more women should be represented in all levels of government. Ms. Arbuckle, and then introduced Dr. Lois Takahashi, Director of USC Price School in Sacramento. Assemblymember Cristina Garcia represents the 58th Assembly District, and she serves on several committees. She is also Chair of the California Legislative Women’s Caucus. Assemblymember Garcia commented that her peers need to “get more done” on women’s issues. Lois Takahashi (moderator) is a Professor and the new Director of the USC Price School of Public Policy in Sacramento. 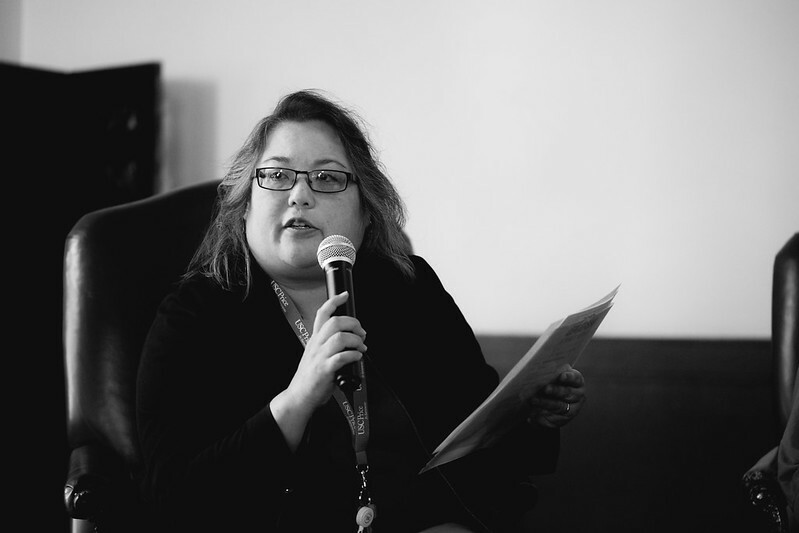 Her research focuses on public and social services delivery to vulnerable populations in the US and in Southeast Asian cities. Why aren’t there more women CEOs and public leaders? Is there something about the competition process that puts women at a disadvantage? Are women pressured to be in nonprofits like the PTA instead of pursuing other jobs? How can women “work across the divides” that seem to be part of public discourse today? Can the lack of women in technology and similar industries be improved? Considering today’s social environment, should women be pessimistic? Sometimes easy, sometimes not, often tough – learn to fight! There is pressure to “stay where I am.” How do you tell women not to give up? Think about your current situation; are you in the right place? In your current situation: Are you challenged? Are you supported? What advice do you have for getting the most out of my current position? Leaders should bring out different skill sets in staff; is that happening for you?